Chances are you’ve grabbed a hot cup of tea to warm up on a cold Sunday morning, but have you ever reached for a tea bag on your way to a house party? It turns out tea is good for more than just a sore throat. 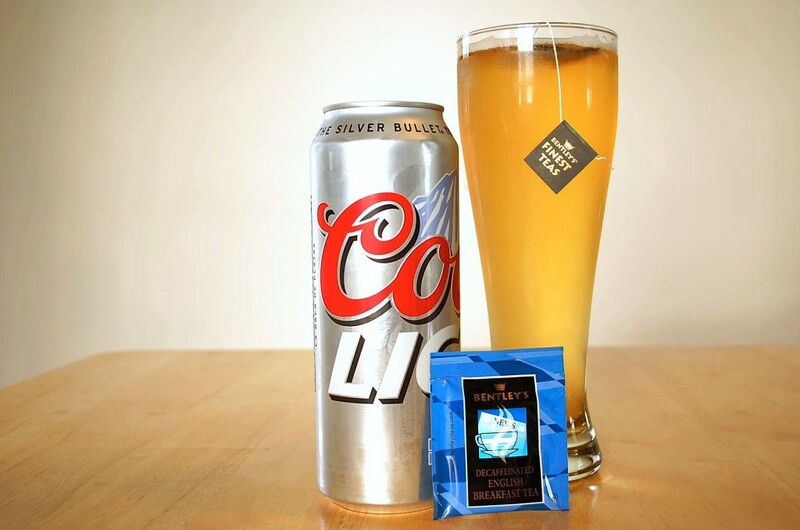 Believe it or not, throwing a tea bag in a glass of beer totally transforms its taste. The leaves add a whole new flavor dimension, making beer creamy and caffeinated. In other words, instant craft beer. All you have to do is steep the tea bag in a cold brew for five to ten minutes. Talk about a major upgrade for your Natty. 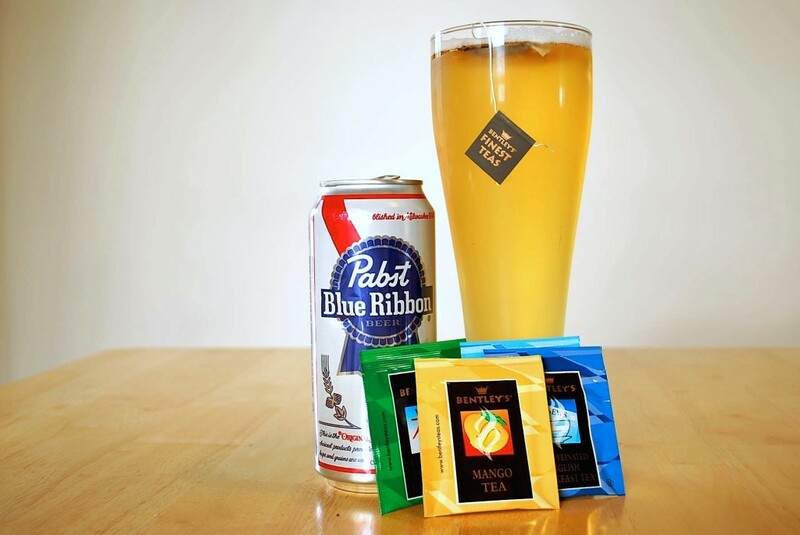 Capital Teas, which opened a location in Charlottesville last summer, is the first company in the US to offer alcohol pairings with tea—so you can thank them for thinking of it first. They carry a line of Tea Lagers exclusively meant to be steeped in beers. 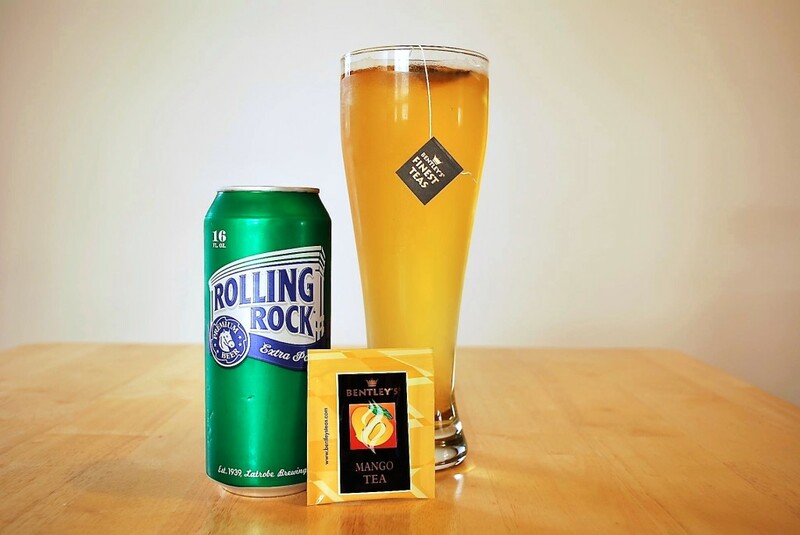 They suggest pairings like “provence rooibos organic” with Heineken and “cream earl grey black” with Blue Moon. Unfortunately, I don’t have the money to splurge on a case of Blue Moon (and if I did, I probably wouldn’t need to put a tea bag in it anyways). So in the spirit of a broke college student, I used some tea bags I had on hand, grabbed a few of the cheapest beers I could find, and figured out some pretty great combinations on my own. I used Bentley’s brand tea, which comes in a lot of fruity flavors, and mango proved to be an all star. Adding mango to Rolling Rock gave it some depth of flavor, while still keeping it light. This combination was really fruit-forward, so if you’re into darker beers, this one might not be for you. But then again, if you’re into darker beers, you probably wouldn’t be drinking Rolling Rock in the first place. 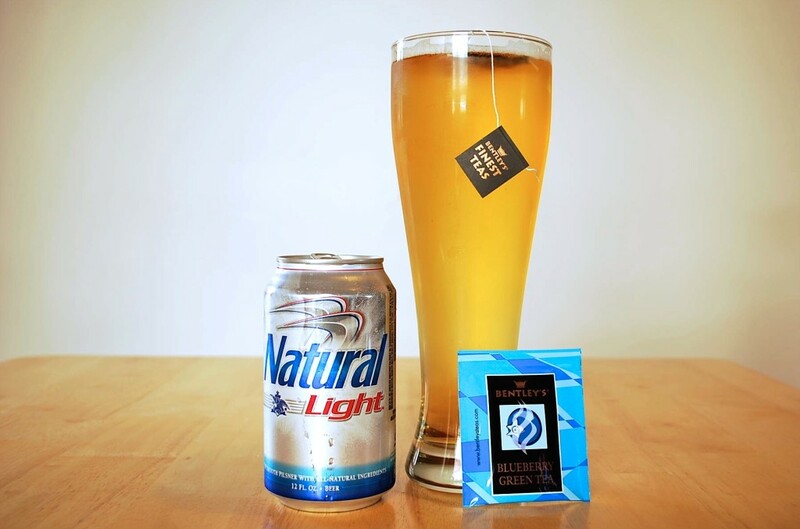 Natty on its own tastes like a frat party, but adding the blueberry flavor lightened up the taste and brought it into the realm of restaurant-worthy brews. The green tea leaves also added a creamy texture to this typical party beer, which we all know is infamous for tasting watered down. This was the most jarring transformation of all the beers I tried and definitely worth the upgrade. Cheap party beer goes in, fruity craft beer comes out. 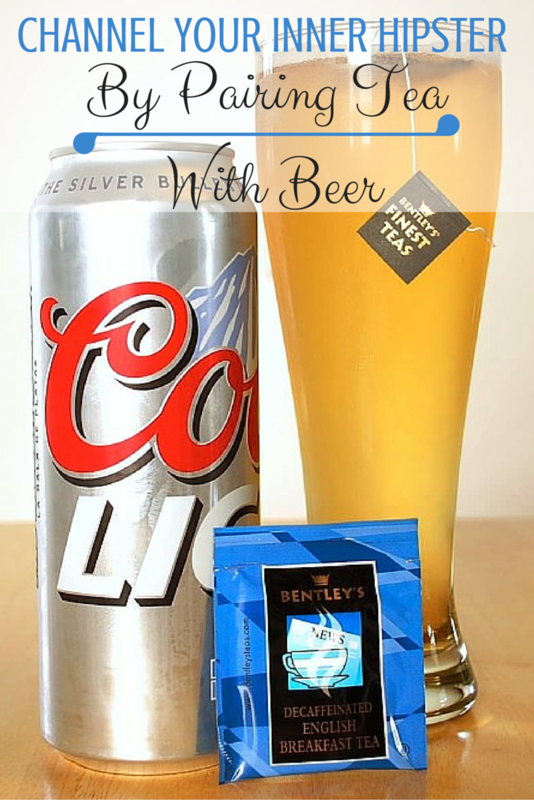 Coors Light provided the perfect base for a heavy tasting beer, without actually filling you up. Adding English breakfast tea darkened it, while lending it an underlying hint of spices. It also made it taste pretty hoppy, so if that’s your thing, then this should be your go-to. Beer lovers unite. Not surprising, since hipsters love PBR almost as much as they love craft beer. Good ol’ Pabst Blue Ribbon provided the best base for mixing, and virtually all of the teas made it taste like a quality craft beer. While adding fruity teas like mango and blueberry produced a lighter taste, English breakfast or Earl Grey was a great way to turn it into a heavier, darker beer. Pro tip: mango tea and PBR tastes almost identical to Shock Top. You’re welcome. Of course everyone’s palate is different and there are a million tea flavors out there, so try your own pairings until you find one you love. Just grab a few extra tea bags from the dining hall and don’t be scared to use them the next time you crack open a cold one. After all, there’s no harm in trying. Can a Natty really get any worse?